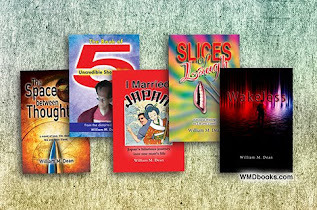 William M Dean - Slices of Laugh: What is this BLOG thing? Truth is, I’m not sure. This is the entry that you find near the beginning of most endeavours be they newsletter, magazine, blog, group meeting, inauguration or grand opening. It’s the one filled with promises and predictions about the future content and goals of the particular item or event. I hate these kind of articles. In my experience, they usually reflect an effort to find the focus, or generate support for the focus. They are campaign speeches designed to ferret out support from people who are not yet committed to a single avenue. The more often they appear, the shorter the lifespan of the endeavour. It happens most often in forums where the spokesperson’s tenure is short—as in polotics where every new leader makes declarations at the onset of his/her term. I can't tell you how often I have seen an article from the editor/leader/organizer purporting to finally, decisively, define the focus of the project and promising so many things to come. I think that they are generally a waste of space. As master Miyagi said, "Do or do not, there is no try." Or was it Master Yoda? I get the two confused—I guess it's because they are both Chinese. This is my campaign speech and I promise, at least, that it will waste little space. My aim is to provide whatever you came here seeking. I will be led by any comments I am lucky enough to receive. At present, I have to assume that you found this blog because you know me, personally, or have read my novel The Space Between Thought. I will assume that you are interested in discussing the novel or it’s themes, or that you are interested in me and my thoughts. I assume this because that’s what I've been seeking whenever I have taken the time to look up an author. So that is what I will attempt to provide. 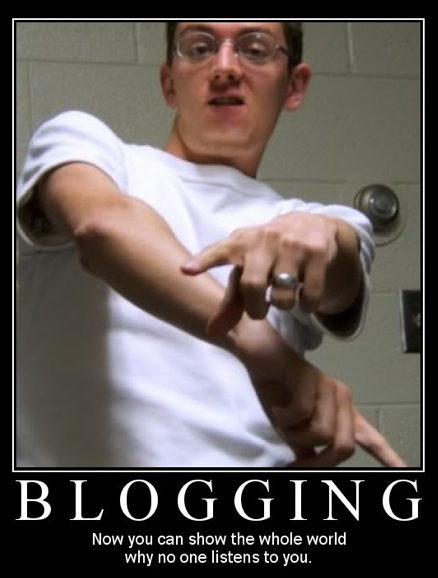 If this blog has readers and they steer me in a direction I hadn’t thought of, I will go willingly. Dammit! That was way too long!